The presenters have kindly given permission for the release of these papers and sound files for personal use only. For possible wider usage please Email President of Oral History NSW. Dr Tanya Evans is a Senior Lecturer in the Department of Modern History at Macquarie University. Dr Evans' last book Swimming with the Spit, 100 years of the Spit Amateur Swimming Club was a community history written to encourage readers and swimmers, young and old, to think about their ambles down to the beach, their invigorating swims and refreshing afternoon dips on sultry Sydney-summer days and crisp winter mornings, with an eye on their history. Passion for a sport in the present can overshadow its fascinating past. This talk reveals how feminist oral histories of the Spit Club's female swimming champions were used to trace the ways in which swimming and its historical meanings have changed for women in twentieth-century Australia. It reveals the lack of cultural scripts local female swimming stars could call upon to narrate their life stories and sporting success, the different ways in which they want their lives remembered and how historians might approach the complex construction of these histories when writing public history and trying to share authority in the process. Oral History NSW seminar, December 3, 2016. Our understanding of the history of disasters, wars and epidemics can be greatly enhanced by listening to the memories of survivors. And yet, recalling and recording memories of traumatic experiences can be challenging for both interviewee and interviewer. In this seminar, we explored the practice of interviewing survivors of trauma. Our panel shared stories from their research and reflected on the challenges involved when interviews explore painful memories. Dr Christine Eriksen discussed vicarious trauma and self-care for interviewers undertaking research with survivors of trauma. 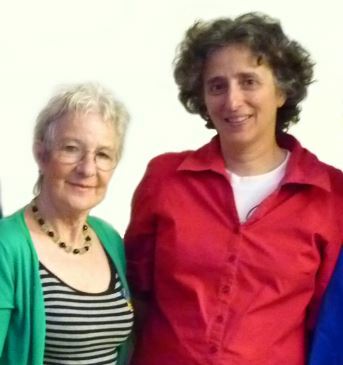 Click here to read more about Christine's work and for a list of her publications. Click here to see Alison's blog. Unfortunately, due to a technical error, the audio of Robert Reynolds' talk at this seminar is unavailable. Click here to see details of Robert's work. In a panel discussion hosted by Dr Scott McKinnon, three oral historians discussed their use of oral history across a range of communities and institutional contexts. Jacqui Wasilewsky talked about how Sydney Jewish Museums' "community stories" project uses oral history to assist members of the Jewish community to record their life histories. Dr Fabri Blacklock talked about how City of Sydney Council's Barani project has collected stories from local indigenous communities. Robyn Swanson talked about how The Sacred Heart Community Palliative Care Biography Service offers the opportunity for people reaching the end of their lives to record their memories. Presenter 1: HAMISH SEWELL (writer, oral historian/radio producer and founder of the Soundtrails app). Presenter 2: BRONWYN MURPHY (sound recordist/editor and coordinator of the National Film and Sound Archive Oral History Program). HAMISH SEWELL also had a great anecdote at the end of the seminar. The presenters have kindly given permission for the release of these papers and sound files for your personal use only. For possible wider usage please Email President of Oral History NSW. This was one of the most complex national oral history projects conducted in the past decade. An outcome of the Senate Inquiries, the Forgotten Australians and Former Child Migrants was announced by the Prime Minister at the National Apology in 2009. During the course of the project over 200 interviews were conducted with 41 professional oral history interviewers across Australia, with some interviews conducted in England. Dr Joanna Penglase is the author of Orphans of the Living: growing up in 'care' in twentieth century Australia, and Co-founder of the care leavers support and advocacy group CLAN which successfully lobbied for the Senate Inquiry into Children and Institutional Care. Joanna has a very compelling story to tell: she is a 'Forgotten Australian'; a long time advocate for recognition of the injustices suffered by children while 'in care'; was an interviewer and was also interviewed for this project. Joanna begins "It started with my oral history thesis twenty odd years ago..."
Dr Joanna Sassoon, Proj Leader for this National Library Aust (NLA) project, is an historian and archivist long concerned with issues of social justice. "I am going to be talking about some of the difficulties and similarities in how Joanna (Penglase) ran her research and her thesis, how the Senate Inquiry ran and how the National Library made some choices about how we wanted to run the project. It is really important to say we could only make the choices that we did because of people like Joanna and the work of the Senate Inquiry. It is about building on and understanding the maturity of the process by which you do history by building on others." Siobhan McHugh compares the power of words on an audio recording with the same interview rendered in print, "The joy of online is that you can of course HEAR the voice: it features a powerful 3-minute clip of an Australian woman I interviewed talking about cradling a dying GI in the Vietnam War". 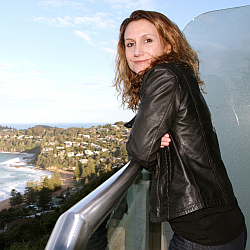 Siobhan is currently Lecturer, Journalism, Faculty of Creative Arts, University of Wollongong. In response to requests from Oral History NSW members, Roslyn Burge and Sue Georgevits, consultant historians, presented a seminar on how to plan and go about the research for an advanced or in-depth interview. They addressed the demands of the project, the required research and the structure (topics and questions) of the actual interview. In her paper Roslyn Burge uses illustrations from projects as well as giving practical advice on the methodology for a researched in-depth interview. This paper was presented by Dr. Alistair Thomson at the XIVth International Oral History Conference, Sydney 2006. A longer version is available as ‘Four paradigm transformations in oral history’, Oral History Review (USA), 34, 1, 2007, pp 49-70. Associate Prof Louella McCarthy introduced the discussion by painting a background picture about what a medical historian is and does and then flagged some of the main kinds of work they do. She emphasised the importance of collecting people's stories in building a history of patienthood. 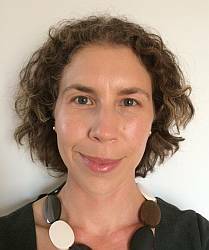 Louella McCarthy has recently taken up the position of Academic Leader-Community Engagement, Graduate School of Medicine, University of Wollongong. 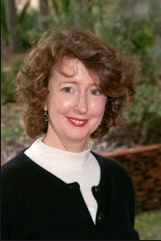 She is an historian of medicine and her research interests have focused on the history of women physicians in Australia. This has led to her commitment to developing pathways for people to contribute to the education of the next generation of medical professionals using the lived experiences of people tapped through oral history methodology. This seminar was arranged by Oral History NSW in collaboration with the State Library of NSW (SLNSW) 16.11.13. The Oral History Association of Australia, History SA and the University of South Australia hosted this conference in Adelaide, September 2013. Sorry, the presentations from this conference are currently not available. Pauline Curby undertook an oral history project for Ryde City Council during the 1990's and found it interesting to re-visit this project and re-consider her processes. Pauline speaks about the background and organisation; training, supporting and providing feedback to volunteer interviewers; promoting the project, attracting and selecting interviewees; preparing topics as the basis for interview questions and identifying the project themes. She found there were two overlapping themes that influenced the two year project: the changing landscape and changes in social relationships. She recognised that not all interviewees would be interesting and not all interviewers would be skilled but she could not risk not interviewing all comers. Pauline concludes with some thoughts on how she might run the project today. Pauline is the recipient of the NSW History Fellowship 2011 and is a member of the Professional Historians Association NSW. Jesse Stein explains that she was an oral history novice when she started her research into the NSW Government Printing Office that operated in Ultimo between 1959 and 1989. She wanted to understand how past employees had coped with technological change including automation and computerisation. Jesse discusses the process by which she located 31 interviewees representing a range of trades and occupations subjects. Jesse speaks of issues related to the university ethics committee, learning to speak the language of 'printing', giving space for the interviewees to talk about their relationship to their machines, and the value of her growing body of knowledge about both the work and the workers, which allowed her to engage with, and be accepted by, the people she spoke to. Jesse teaches design history and visual communication at UTS. Belinda Mason, a film maker and documentary storyteller, talks about being commissioned by SBS and Becker Entertainment to make a film about refugee families from war-torn zones who have settled in Wagga Wagga. She found one of the main challenges was to find people to interview on film - many were too traumatised or uncertain to undergo such an experience. She spent a great deal of time, travelling and working with an interpreter, in establishing relationships with the two families she subsequently filmed in I'll Call Australia Home and Constance on the Edge. The links below this point do not currently work. Michael Frisch, an internationally renowned oral historian speaks about his work relating to the impact of digital technologies on trends in oral history particularly multi-dimensional indexing which allows greater exploration of interviews in larger projects. Michael is Professor in the Department of History, University at Buffalo, the State University of New York. Michael Frisch is Professor in the Department of History, University at Buffalo, the State University of New York. For many years he has been involved in oral and public history projects, often in collaboration with community history organisations, museums and documentary filmmakers. Doug Boyd, Director of the Louie B. Nunn Centre for Oral History in the University of Kentucky Libraries. Doug discusses the Nunn Centre's use of OHMS (Oral History Metadata Synchronizer), an open source, free digital tool created for enhancing access to online oral histories, and how OHMS has empowered archives all over the world to meet user expectations with regard to improving access to oral history. As this is a large file it has been necessary to divide Doug's presentation into three parts. Professor Robert Reynolds and Dr Shirleene Robinson are researchers on the first national Australian lesbian and gay oral history project, which is being conducted by Macquarie University in conjunction with the National Library of Australia. The project has interviewed 60 respondents from five different generations, investigating ways in which the experience of being gay or lesbian has transformed over the course of the last 60 years. Shirleene and Robert reflect on the challenges and rewards of a national Australian lesbian and gay oral history project. Dr Scott McKinnon discusses his experiences using oral history as a research method on several projects related to histories of sexuality, covering both university-based and community history projects. In particular, Scott talks about his work with Pride History Group, a volunteer-run community history organisation that has recorded and archived a substantial collection of oral history interviews with members of Sydney’s LGBTI communities. Dr. Anna Green grew up hearing her grandfather's stories about her family. She wanted to explore the importance of tales passed down through families. She found a dozen three-generational families and recorded interviews with at least one member of each generation. In her presentation Anna talks about how she found the families, the kinds of stories they told, problems she encountered, and why she thinks this aspect of remembering deserves further attention. Anna is a member of the Stout Research Centre for New Zealand Studies and teaches in the history programme at Victoria University of Wellington. This seminar was organised by Oral History NSW in collaboration with the State Library of NSW on 15 October 2015. Please note that it has not been possible to include audio excerpts used in the recording due to copyright.